Morris  offers this: “There is, moreover, a reference to the death of Christ, as we saw on verse 51. Flesh and blood in separation point to death. The words, then, are a cryptic allusion to the atoning death that Jesus would die, together with a challenge to enter the closest and most intimate relation with him.134 They are to be interpreted in the light of verse 47.” While most would accept the intuition of Jesus’ atoning death are implied, there are few who argue that is a major theme. Yet Morris strains against established biblical meaning. In Hebrew, the double formula “flesh and blood” emphasizes the reality and corporeality of human existence. Not apart from the atoning death of Jesus, but v.53 builds upon the fulfillment of the promise made in 6:27 (Do not work for food that perishes but for the food that endures for eternal life). The flesh and blood of the Son of Man are the food that endures for eternal life. The Son of Man is the one who has descended from heaven to give his life for the salvation of the world (3:13, 16). The gift of his flesh and blood belongs to that saving work; it is the food that gives eternal life. Earlier in v.53 it was stated that not eating/drinking means one does not have life within them. Verse 54 states it positively that whoever eats/drinks will be raised on the last day. Verse 55 states succinctly Jesus’ flesh and blood are the true source of life. Jesus’ flesh and blood thus fulfills the promise in 6:35 of food and drink that will end hunger and thirst. Stated positively, negatively, or flat out – all these verses and all that has come before them in John 6 are building to an important aspect in Johannine Eucharistic theology: being in deep spiritual, full-bodied relationship with Jesus. At the heart of v. 56 is the verb “to abide” (menō). This verb is used in John 15:4 – “Remain in me, as I remain in you. Just as a branch cannot bear fruit on its own unless it remains on the vine, so neither can you unless you remain in me.” There is expresses the interrelationship of Jesus and the believer; the interrelationship that is the source of the believer’s life now and in life everafter. Yet the interrelationship of Jesus and the believer is actually an extension of the interrelationship of God and Jesus (6:57). Verse 57 builds on the claims of 5:21, 26–27: God shares God’s life with Jesus. The one who eats Jesus (also the one who feeds on me – note the substitution of “me” for flesh and blood) receives life because that person shares in the life-giving relationship of God and Jesus (cf. 1:4). Johannine eucharistic theology is one of relationship and presence (O’Day 608). 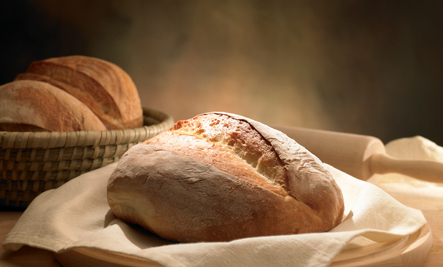 This verse serves as the conclusion to the whole bread of life discourse, tying together themes that have run throughout the discourse (e.g., 6:31, 37, 49–51b) with its final restatement of the life one receives from eating the bread from heaven. John 6:55 true food…true drink: The Greek used for true is alēthēs – as opposed to the Greek alēthinos. This latter word (meaning “the only real”) is used to distinguish the heavenly reality from its earthly counterpart – and in scripture to distinguish the NT reality from its OT counterpart. Alēthinos would thus be out of place as Jesus is not contrasting his flesh with any natural or OT counterpart. Rather, Jesus is insisting on the genuine value of his flesh and blood as food and drink. John 6:57 the living Father: The concentration on the theme of “life” and its communication from Father to Son to believer produces the expression “the living Father” (ho zōn pater). John 6:58 bread that came down from heaven…whoever eats this bread will live forever: As Brown and Moloney  point out, there seems to be very little middle ground – scholars either believe the entire John 6 is metaphoric or they believe it is Eucharistic/sacramental. As they point out, many commentators write along their denominational beliefs, but scholars, despite their denominational professions, hold that John 6:51-58c is unavoidably Eucharistic.